USES: This medication is used to treat conditions such as arthritis, blood disorders, severe allergic reactions, certain cancers, eye conditions, skin/kidney/intestinal/lung diseases, and immune system disorders. It decreases your immune system\'s response to various diseases to reduce symptoms such as swelling, pain, and allergic-type reactions. Methylprednisolone is a corticosteroid hormone. This injectable form of methylprednisolone is used when a similar drug cannot be taken by mouth or when a very fast response is needed, especially in patients with severe medical conditions. Talk to your doctor about the risks and benefits of methylprednisolone, especially if it is to be injected near your spine (epidural). Rare but serious side effects may occur with epidural use. Methylprednisolone may also be used with other medications in hormone disorders. HOW TO USE: This medication is usually given by slow injection into a vein or directly into a muscle, as directed by your doctor. The dosage is based on your medical condition and response to treatment. Do not increase your dose or use this drug more often than prescribed without consulting your doctor. Your condition will not improve any faster, and your risk of side effects will increase. If you are using this medication at home, learn all preparation and usage instructions from your health care professional. Before using, check this product visually for particles or discoloration. If either is present, do not use the liquid. Learn how to store and discard medical supplies safely. Do not stop using this medication without consulting your doctor. Some conditions may worsen or you may experience withdrawal symptoms (such as weakness, weight loss, nausea, muscle pain, headache, tiredness, dizziness) when this drug is suddenly stopped. To prevent these withdrawal symptoms when stopping methylprednisolone, your doctor may reduce your dose gradually. Consult your doctor or pharmacist for more details and report any withdrawal reactions right away. See also Precautions section. Tell your doctor if your condition does not improve or if it worsens. SIDE EFFECTS: Nausea, vomiting, heartburn, headache, dizziness, trouble sleeping, appetite changes, increased sweating, acne, or pain/redness/swelling at the injection site may occur. If any of these effects persist or worsen, tell your doctor or pharmacist promptly. Remember that your doctor has prescribed this medication because he or she has judged that the benefit to you is greater than the risk of side effects. Many people using this medication do not have serious side effects. This medication may make your blood sugar rise, which can cause or worsen diabetes. Tell your doctor right away if you have symptoms of high blood sugar such as increased thirst/urination. If you already have diabetes, check your blood sugar regularly as directed and share the results with your doctor. Your doctor may need to adjust your diabetes medication, exercise program, or diet. This medication may lower your ability to fight infections. This may make you more likely to get a serious (rarely fatal) infection or make any infection you have worse. Tell your doctor right away if you have any signs of infection (such as fever, chills, persistent sore throat, cough, white patches in the mouth). Tell your doctor right away if you have any serious side effects, including: unusual weight gain, menstrual period changes, bone/joint pain, easy bruising/bleeding, mental/mood changes (such as mood swings, depression, agitation), muscle weakness/pain, puffy face, slow wound healing, swelling of the ankles/feet/hands, thinning skin, unusual hair/skin growth, vision problems, fast/slow/irregular heartbeat. This drug may rarely cause serious (rarely fatal) bleeding from the stomach or intestines. If you notice any of the following unlikely but serious side effects, consult your doctor or pharmacist right away: black/bloody stools, persistent stomach/abdominal pain, vomit that looks like coffee grounds. Get medical help right away if you have any very serious side effects, including: seizures. This medication may rarely cause serious liver problems. Tell your doctor right way if you experience: nausea/vomiting that doesn\'t stop, loss of appetite, stomach/abdominal pain, yellowing eyes/skin, dark urine. A very serious allergic reaction to this drug is rare. However, get medical help right away if you notice any symptoms of a serious allergic reaction, including: rash, itching/swelling (especially of the face/tongue/throat), severe dizziness, trouble breathing. This is not a complete list of possible side effects. If you notice other effects not listed above, contact your doctor or pharmacist. In the US - Call your doctor for medical advice about side effects. You may report side effects to FDA at 1-800-FDA-1088 or at www.fda.gov/medwatch. In Canada - Call your doctor for medical advice about side effects. You may report side effects to Health Canada at 1-866-234-2345. PRECAUTIONS: Before using methylprednisolone, tell your doctor or pharmacist if you are allergic to it; or to prednisone; or if you have any other allergies. This product may contain inactive ingredients (such as lactose or cow\'s milk protein found in some products), which can cause allergic reactions or other problems. Talk to your pharmacist for more details. Before using this medication, tell your doctor or pharmacist your medical history, especially of: bleeding problems, blood clots, brittle bones (osteoporosis), diabetes, eye diseases (such as cataracts, glaucoma, herpes infection of the eye), heart problems (such as congestive heart failure, recent heart attack), high blood pressure, current/ past infections (such as those caused by tuberculosis, threadworm, herpes, fungus), kidney disease, liver disease, mental/mood conditions (such as psychosis, anxiety, depression), stomach/intestinal problems (such as diverticulitis, ulcer, ulcerative colitis), seizures. This drug may make you dizzy. Alcohol or marijuana can make you more dizzy. Do not drive, use machinery, or do anything that needs alertness until you can do it safely. Talk to your doctor if you are using marijuana. This medicine may cause stomach bleeding. Daily use of alcohol while using this medicine may increase your risk for stomach bleeding. Limit alcoholic beverages. Consult your doctor or pharmacist for more information. Methylprednisolone can make you more likely to get infections or may worsen any current infections. Therefore, wash your hands well to prevent the spread of infection. Avoid contact with people who have infections that may spread to others (such as chickenpox, measles, flu). Consult your doctor if you have been exposed to an infection or for more details. This medication may cause vaccines to not work as well. Live vaccines may cause serious problems (such as infection) if given while you are using this medication. Do not have immunizations, vaccinations, or skin tests without the consent of your doctor. Avoid contact with people who have recently received live vaccines (such as flu vaccine inhaled through the nose). Before having surgery, tell your doctor or dentist about all the products you use (including prescription drugs, nonprescription drugs, and herbal products). Using corticosteroid medications for a long time can make it more difficult for your body to respond to physical stress. Therefore, before having surgery or emergency treatment, or if you get a serious illness/injury, tell your doctor or dentist that you are using this medication or have used this medication within the past 12 months. Tell your doctor right away if you develop unusual/extreme tiredness or weight loss. If you will be using this medication for a long time, carry a warning card or medical ID bracelet that identifies your use of this medication. See also Medical Alert section. Older adults may be more sensitive to the side effects of this drug, especially brittle bones (osteoporosis). Talk to your doctor about ways to prevent osteoporosis. See also Notes section. This medication may slow down a child\'s growth if used for a long time. Consult the doctor or pharmacist for more details. See the doctor regularly so your child\'s height and growth can be checked. During pregnancy, this medication should be used only when clearly needed. It may rarely harm an unborn baby. Discuss the risks and benefits with your doctor. Infants born to mothers who use this medication for a long time during pregnancy may have hormone problems. Tell your doctor right away if you notice symptoms such as persistent nausea/vomiting, severe diarrhea, or weakness in your newborn. This medication passes into breast milk but is unlikely to harm a nursing infant. Consult your doctor before breast-feeding. DRUG INTERACTIONS: Drug interactions may change how your medications work or increase your risk for serious side effects. This document does not contain all possible drug interactions. Keep a list of all the products you use (including prescription/nonprescription drugs and herbal products) and share it with your doctor and pharmacist. Do not start, stop, or change the dosage of any medicines without your doctor\'s approval. Some products that may interact with this drug include: aldesleukin, mifepristone, other drugs that can also cause bleeding/bruising (including antiplatelet drugs such as clopidogrel, \"blood thinners\" such as warfarin/dabigatran, NSAIDs such as ibuprofen, celecoxib, aspirin, salicylates). If your doctor has directed you to take low-dose aspirin for heart attack or stroke prevention (usually at dosages of 81-325 milligrams a day), you should continue taking it unless your doctor instructs you otherwise. Ask your doctor or pharmacist for more details. Other medications can affect the removal of methylprednisolone from your body, which may affect how methylprednisolone works. Examples include azole antifungals (such as ketoconazole), boceprevir, cyclosporine, estrogens, HIV protease inhibitors (such as ritonavir), macrolide antibiotics (such as erythromycin), rifamycins (such as rifampin), St. John\'s wort, some drugs used to treat seizures (such as phenytoin, phenobarbital), telaprevir, among others. This medication may interfere with certain laboratory tests (including skin tests), possibly causing false test results. Make sure laboratory personnel and all your doctors know you use this drug. NOTES: Do not share this medication with others. Laboratory and/or medical tests (such as blood sugar/mineral levels, blood pressure, eye exams, bone density tests, height/weight measurements) should be performed periodically to monitor your progress or check for side effects during long-term treatment. Consult your doctor for more details. Lifestyle changes that help reduce the risk of bone loss (osteoporosis) during long-term treatment include doing weight-bearing exercise, getting adequate calcium and vitamin D, stopping smoking, and limiting alcohol. Consult your doctor for specific advice. 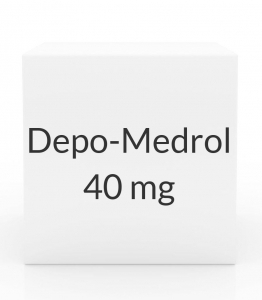 MISSED DOSE: For the best possible benefit, it is important to receive each scheduled dose of this medication as directed. If you miss a dose, contact your doctor or pharmacist right away to establish a new dosing schedule. Do not double the dose to catch up. Information last revised July 2017. Copyright(c) 2017 First Databank, Inc.